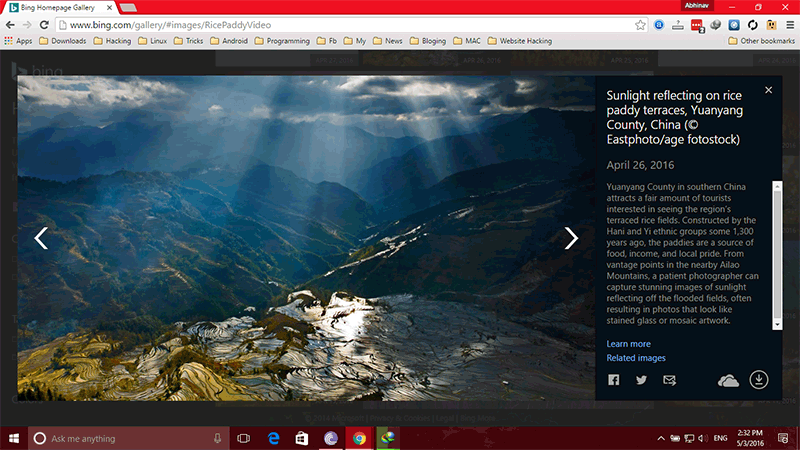 Bing Gallery offers High Definition Wallpapers but with a watermark . 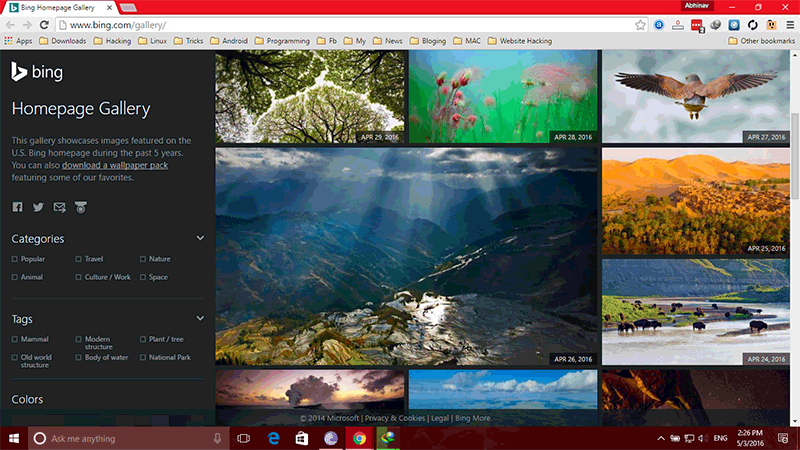 Here is Guide how to download Bing Wallpapers in High Quality without any watermark. 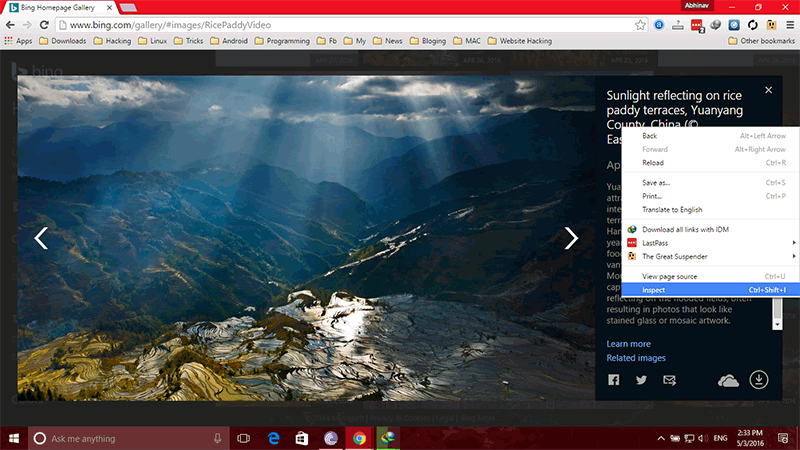 Open Firefox and navigate to http://www.bing.com/gallery. Click the image you like so it will open. 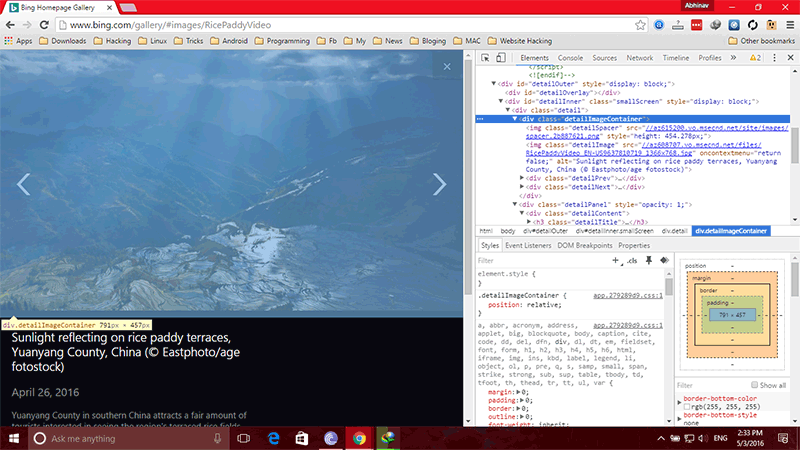 Right click the black area with the image description and select “inspect element”. Paste the URL you copied into the browser address bar and remove the first two backslashes. 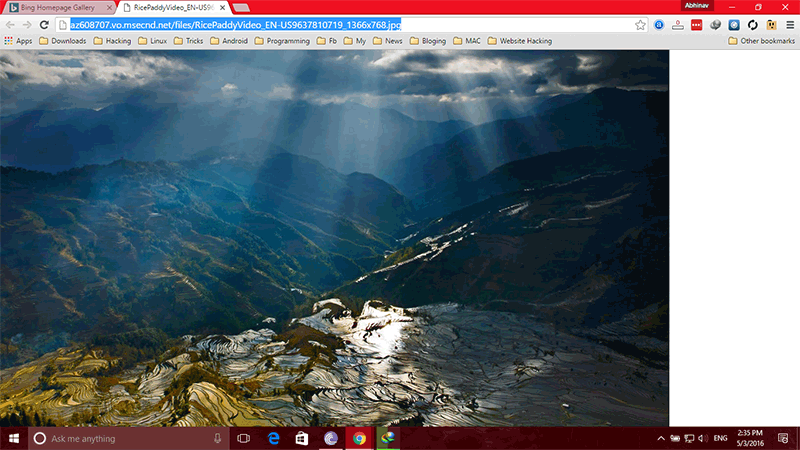 Now, press Enter and you will get the full image without the Bing watermark. There is also aweb site http://www.iorise.com/ which stores the Bing wallpaper archive. 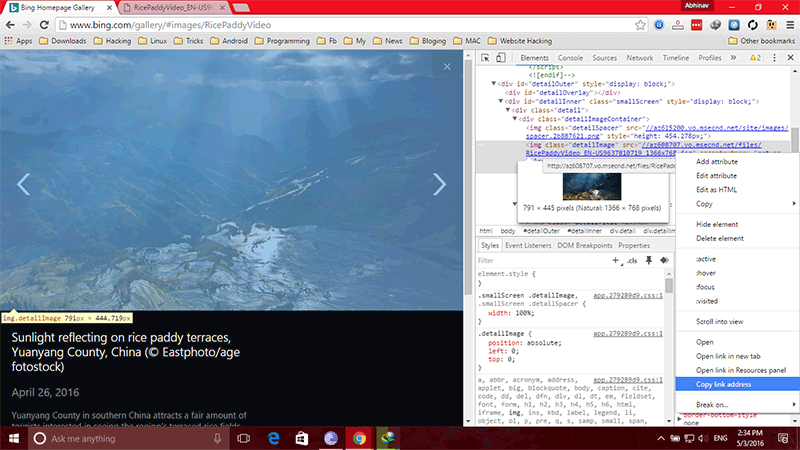 As an option, it also hosts images without watermarks!